This is a beautiful blend inspired by Ayurvedic principles. In Ayurvedic practices, raw, whole milk is considered to be a superfood. In this drink, we blend together raw, whole milk, ghee, ground almonds and dates, and add in cardamom, cinnamon, cloves, and ashwaganda. After mixing it all together, let it sit overnight. You can make a bunch at one time (that’s what I did) or you can make enough for just a cup. I don’t have exact measurements for ingredients, because well, everyone’s taste is different. My mom likes a bit more cardamom…I like a bit less ashwaganda (makes it thick). If you can’t stand the texture (you do need to chew it a little), then try to get the almonds and dates really well ground (maybe juice them?). 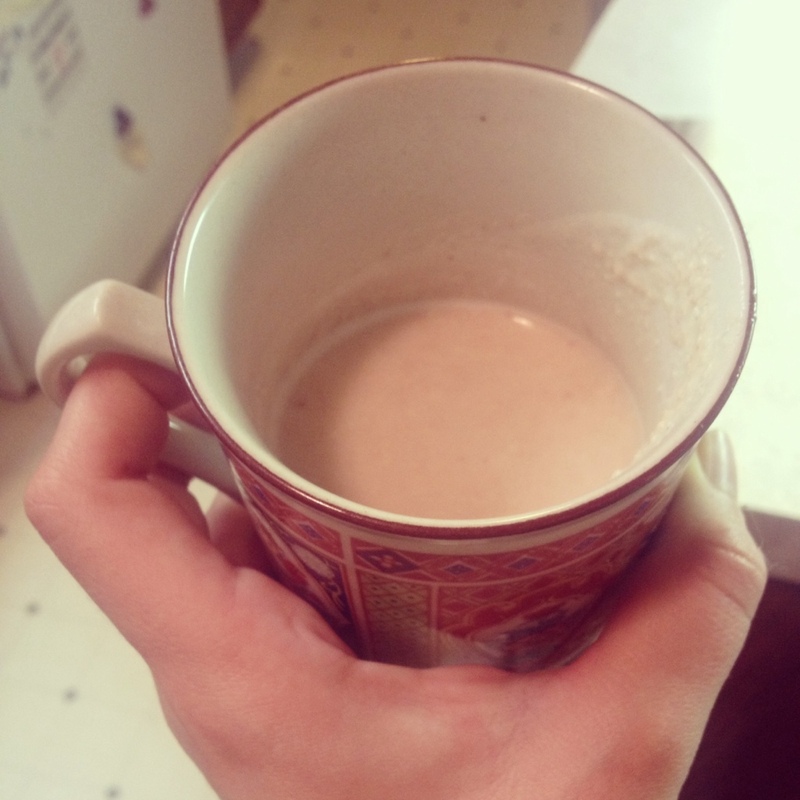 This is a perfectly sweet, and delightful drink to have in the morning with breakfast. It is especially good to have after you fast or cleansing. I find it very interesting that a culture which is primarily vegetarian finds the benefits of milk to be a key in their health practices. It may be against our conventional wisdom, thinking that dairy is bad for you…but what makes it bad? Highly processed, low-nutrient, high-sugar milk isn’t the best for you…but organic, non-homogenized, whole-fat milk is a major part of diets across the world, especially vegetarian diets. I’m tempted to work with some Golden Milk to help my back pain and inflammation. If all goes well, I will be sharing that story with you soon! Also – this is a good guide to an Ayurvedic lifestyle as incorporating these principals will help you become a healthier, happier, and more grounded person! ← Lifting of the Fog: Liver, Gallbladder, and Bowel cleanse.